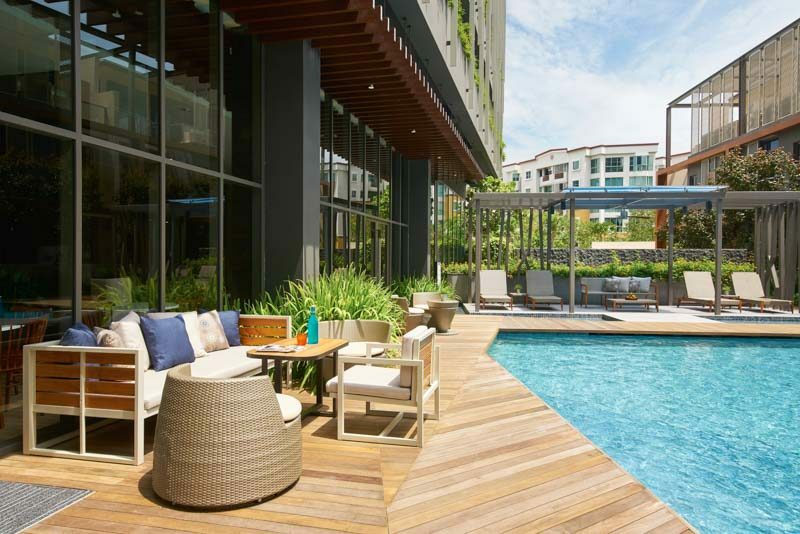 It might seem odd for a hotel to be tucked away in Singapore’s West, away from all the city’s great attractions, but Oasia Residence caters to a different kind of traveller. 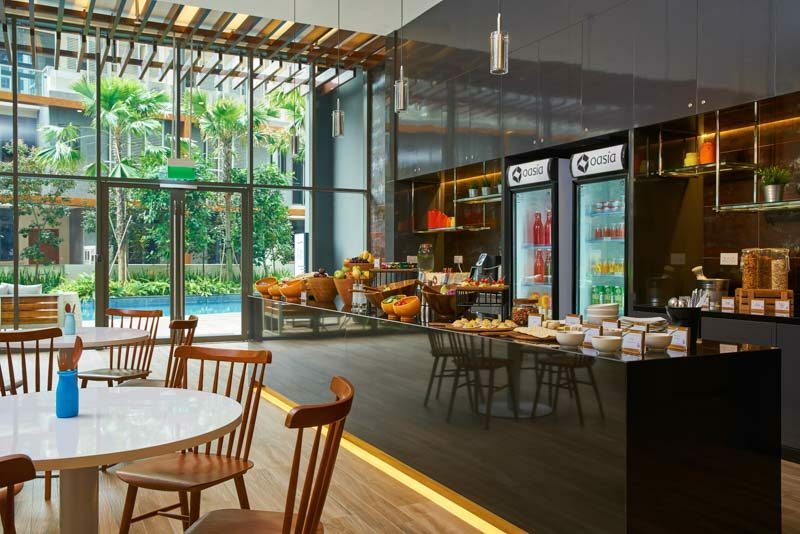 Unlike the usual weekend staycation options that Oasia’s other hotel properties offer, Oasia Residence is more inclined towards business and leisure travellers planning for longer stays in Singapore. 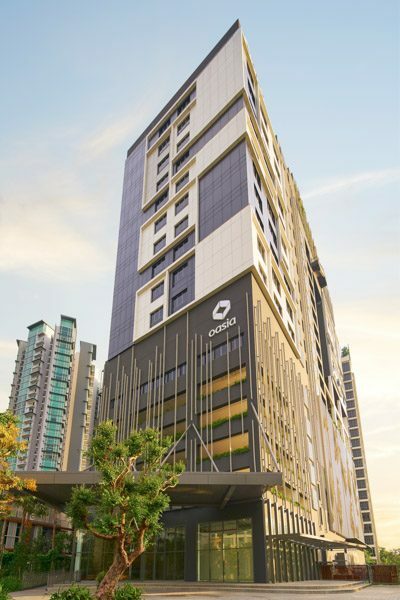 In close proximity to business parks and education institutions in the area, Oasia Residence caters to the rising demand for serviced residences in the west coast of Singapore. 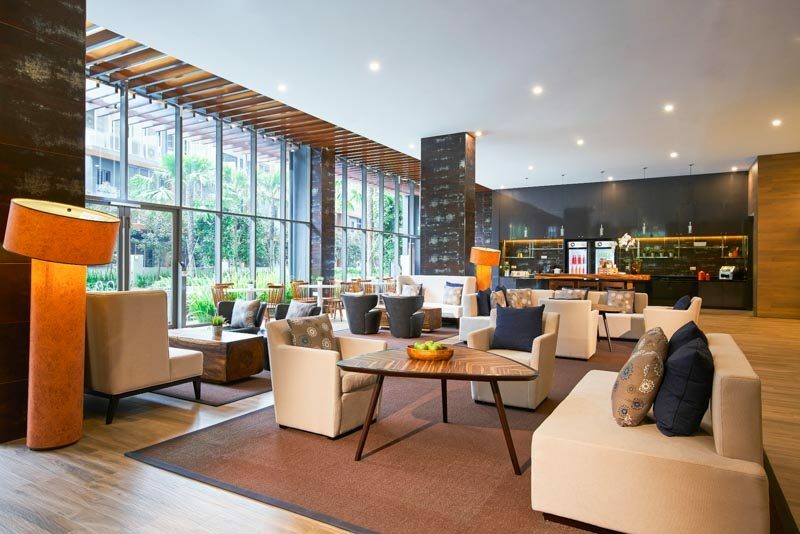 Past the friendly concierge on the first floor, I was be greeted by the serenity of The Living Room – a wide comfy space with plenty of daylight pouring through their floor-to-ceiling glass windows for guests to lounge about. True to their mission to Refuel and Recharge, Oasia Residence welcomes all guests to help themselves to refreshments that are available 24/7, and boy, did I help myself. Coffee/tea, fruit-infused water, fresh fruits had me shamelessly coming back down several times during my stay. Perfect for a caffeine addict like me, I made a good friend out of the coffeemaker here. My well-rested experience at Oasia Residence was in the comfort of their spacious one-room apartment. The living room, separate from the actual bedroom, is fully furnished with a snug sofa and cable television, and like any great sofa, served the wonderful purpose of comfy power naps. The soft colours and warm lighting really added to a welcoming feel, truly leaving the impression of a home away from home. In the bedroom itself lies a large comfy King-sized bed with fluffy down feather pillows for a good night’s rest. The great news is, they’ve got another flat screen TV in here too (perhaps for some Netflix and chill action if you know what I mean). 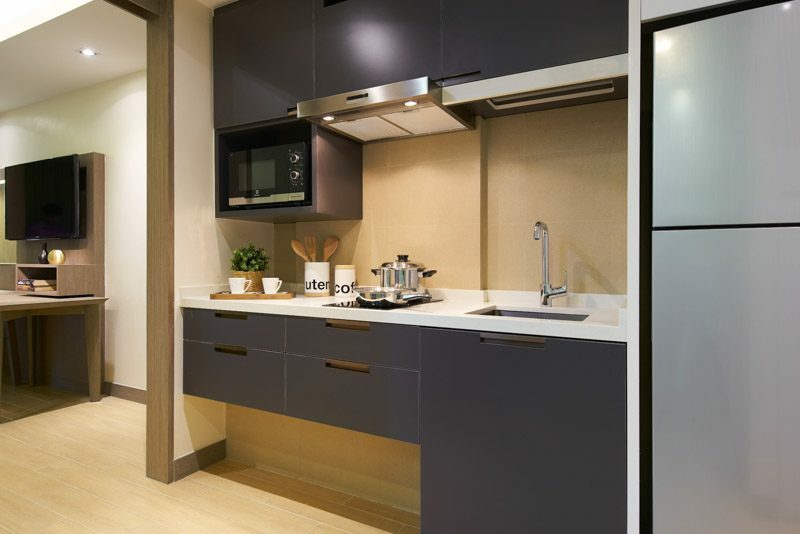 What sets Oasia Residence aside from its hotel outlets is their provided kitchen appliances, fully equipped with an induction stove and all necessary cooking paraphernalia. Yes, they throw in a rice cooker too! They even have a large fridge and freezer for you to store your groceries. No more having to scrimp on cup noodles with the only available cooking device being a kettle, thank goodness! 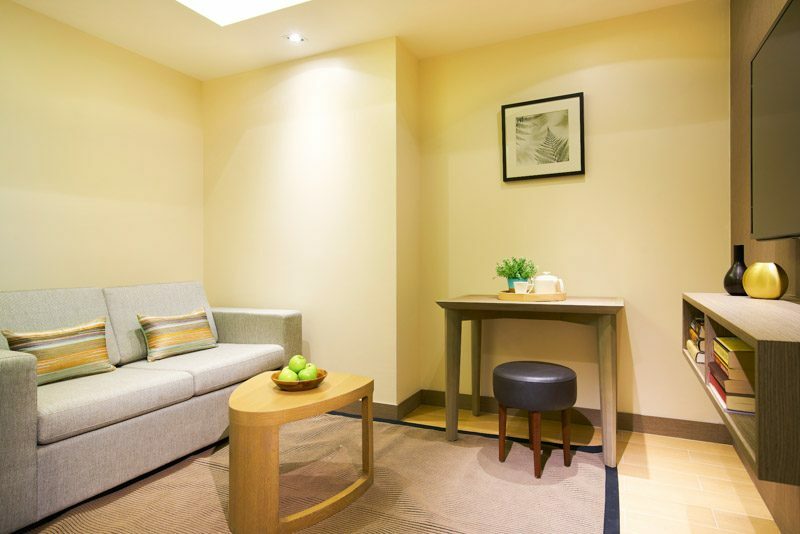 The full-service apartments definitely are not short on facilities for you to submerge yourself into Oasia’s mantra – recharge, refuel and refresh. Away from the hustle and bustle of the city, I enjoyed my time wading about in the private swimming pool while enjoying the peace and quiet that the West had to offer. For all gym goers, fret not, their gym is accessible 24/7, so you can squeeze a workout in no matter how busy your work schedule. What’s more, they have a steam room, sauna, and tennis court all at your convenient disposal. 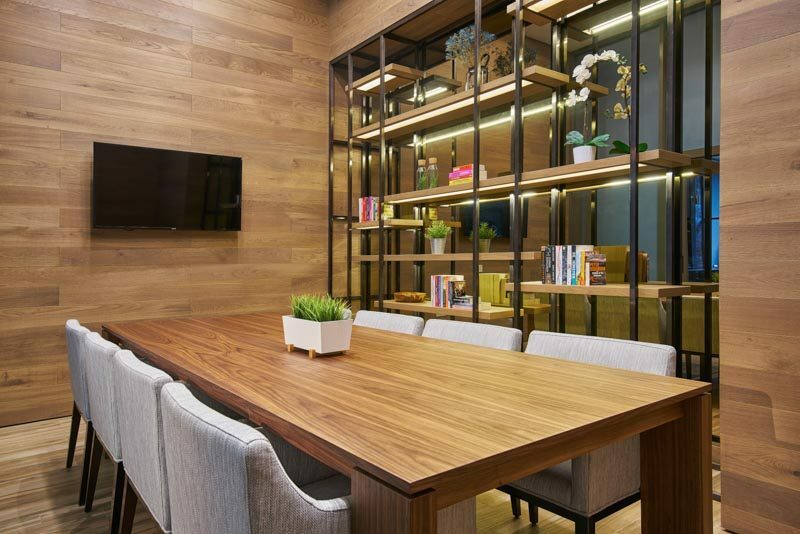 Understanding the occupational needs of its guests, the residence also provides a large meeting room for guests to book for free should they require it. 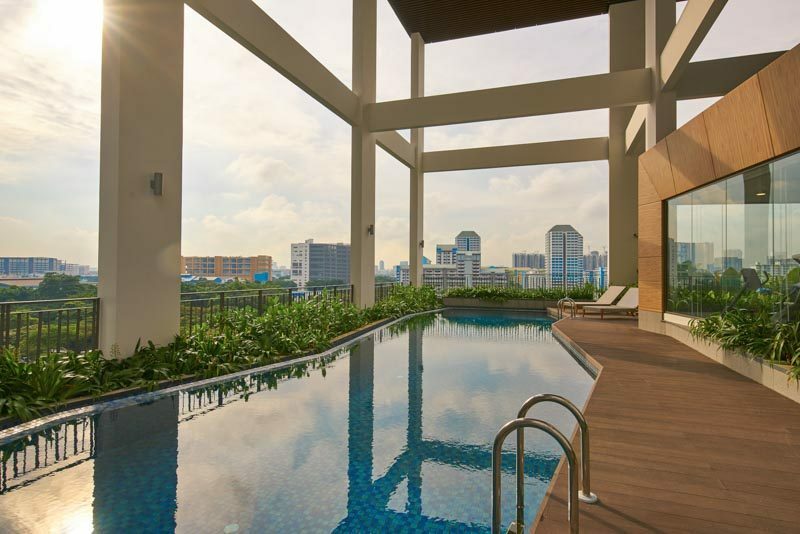 On top of private facilities, Oasia Residence shares a common space of its lap pool and spa facilities with neighbouring Seahill residential development. 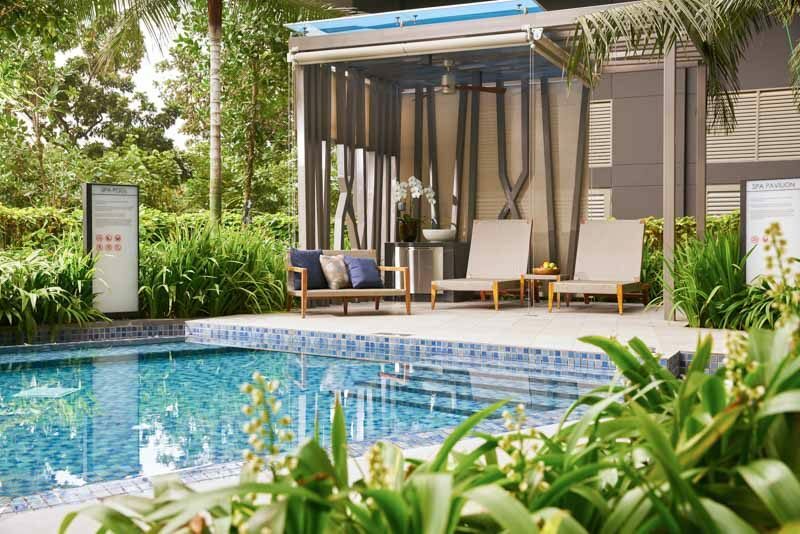 Just beside the lap pool, hidden among lush greens, revealed a handful of spa facilities such as massage pavilions, aqua gyms, and a sea mist pool. With so many ways to submerge and pamper myself, I felt a little spoilt for choices, but nevertheless decided to make use of all of them. I’d recommend using the aqua gym for a good workout; jogging in a pool of water proves more challenging than I would have thought! 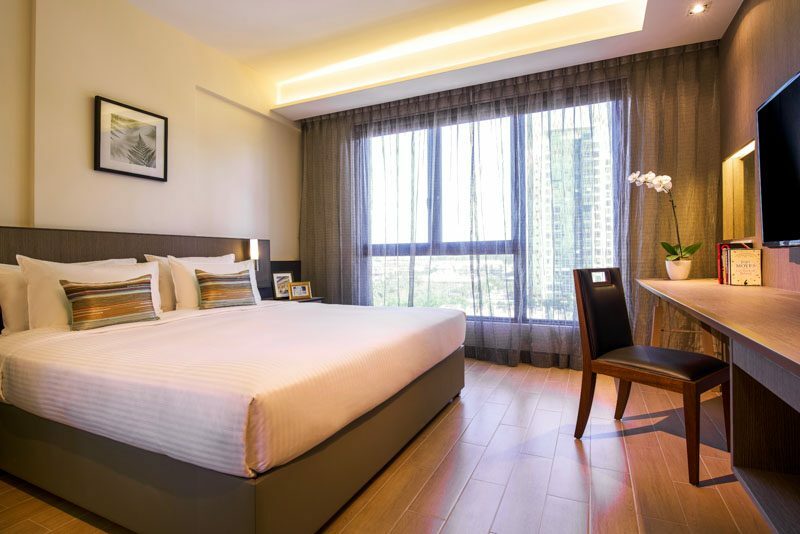 Unlike the usual staycation, my stay at Oasia Residence was more independent and solitary, yet fully accommodating to all my needs and wants. Being away from the city, there is an element of tranquility that I feel no other city hotel has to offer, and life here seems to move at a calm slower pace. I could see how it would be a space of respite for business travellers after long days at work, where all one would want to do is relax and wind down. 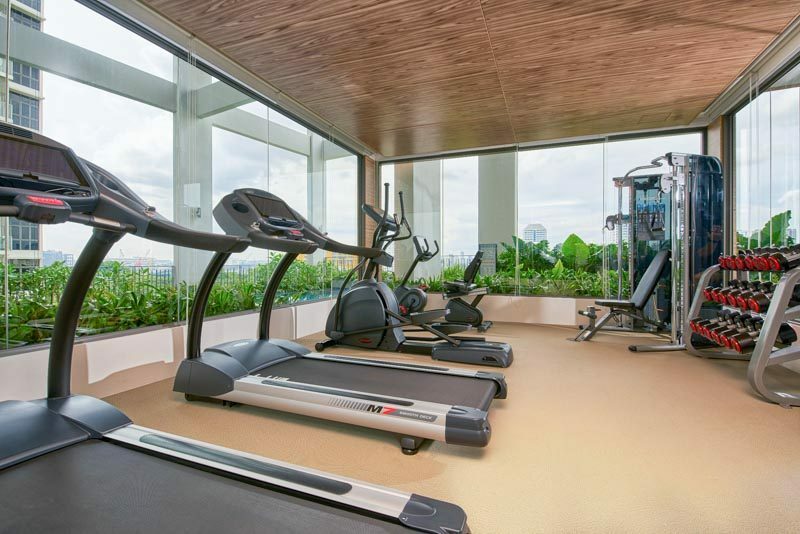 Oasia Residence provides you just that – an experience that will leave you Recharged, Refuelled and Refreshed.